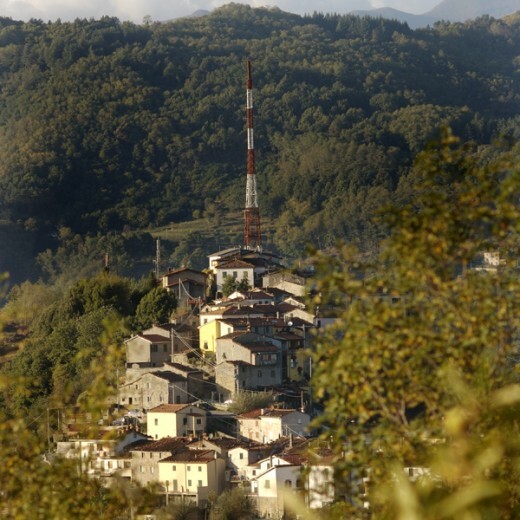 Is 401 meters above sea level and 5 kilometers from Bagni di Lucca,on the Brennero SS.12. just past the bridge and stream Buliesima. This antique stronghold belonged to the Suffredinghi family dominated the valley of the Lima and Ponte a Serraglio. 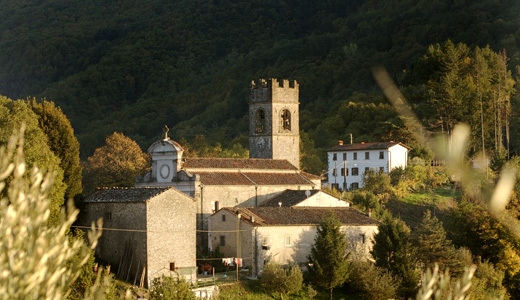 The medieval structure of the village is today visable with a road along side the walls of the village,called “fil di cima,fil di mezzo,fil di fondo” by the locals . The oldest part of the village is the castle at the top. 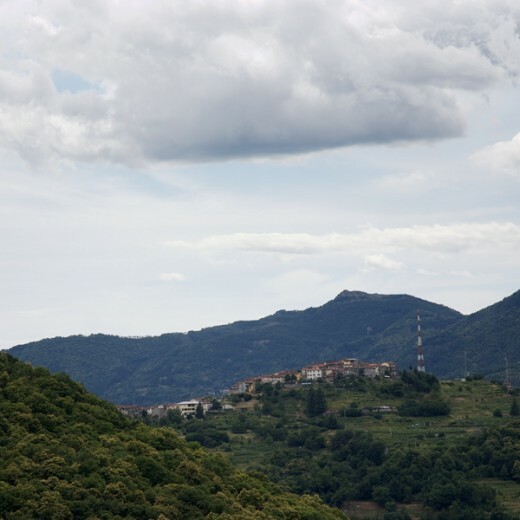 An old wifes tale tells that the first family of the village was born in the area occupied by the holy woods “Giano” (iucus Jani), others say it belonged to a roman settler Lollius,theres also a debate on the coat of arms which shows a two faced “Giano”. Its remembered the first time in a parchment of the files of the Archiepiscopal of Lucca in 853,and one in 939 and another two in 983. Belonged to the Suffredinghi family until they abandoned the territory of Lucca in 1209. Emperor Federico II di Svevia give it to Lucca in 1244. The parish church was originally dedicated to San Martino but from 1269 it results dedicated to San Jacopo Maggiore. Its been restorted and extended many times in 1118,in the 14th century, in 1854 and 1915. The church has 3 aisles with shone pillars and capital,an alter that protects a terracotta statue of Our Lady with child. The organ is an Evaristo Santarlasci made in 1888. In the church square there two oratories dedicated to S.S. Nome di Gesù and to the Natività di Maria. The village square has a fountain made in 1825 by two englishmen Lord Sandon and Lady Bule. They passed long periods in “Villa Politi” in the middle of the village. From 1950 Villa Politi belonged to the nuns “Barbantine” . The Politi family is remembered in the 16th century as silk merchants,and in the 18th century decided to built the palace with a garden which contains a maze and a centuries old ash-tree. From the garden one can see all the thermal hills of Bagni di Lucca. In 1876 Lugliano had a weather bureau (that worked until a few years before WWI) which was took care of by father Filippo Cecchi from Florence.